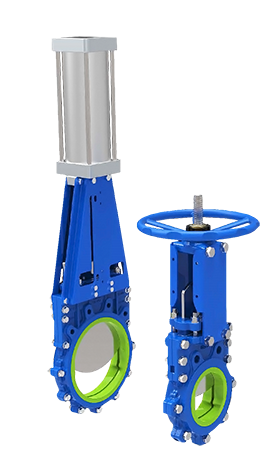 Our core assortment includes shut-off valves, butterfly check valves and air- and flue gas dampers, as well as knife gate valves. 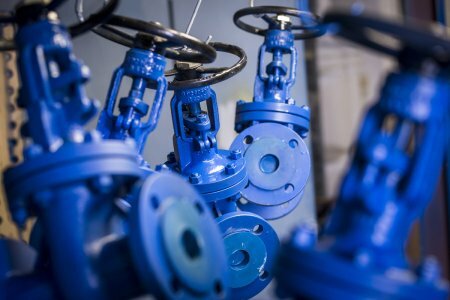 At the same time, we deliver special valves from other producers, especially check valves, safety globe valves, sight glasses, as well as blow-off valves. Of course, we provide You with individual automation solutions, for which we work together with well-known producers of actuators. We have been actively providing our services for several years now. Activities like audition of valves belong to our routine work nowadays. 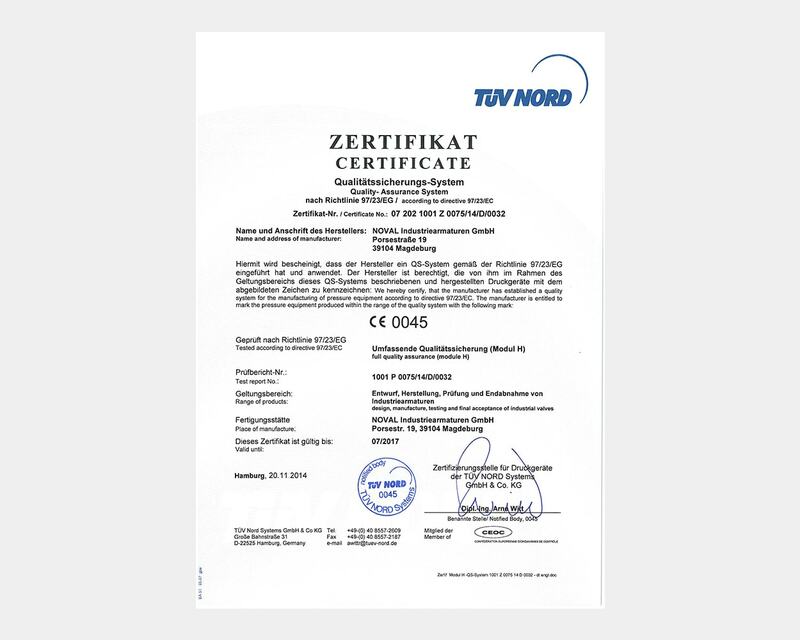 We concentrate on the development and production of shut-off valves as well as butterfly check valves operated manually, electrically or pneumatically. This core assortment is completed by check valves and other special valves from other producers. 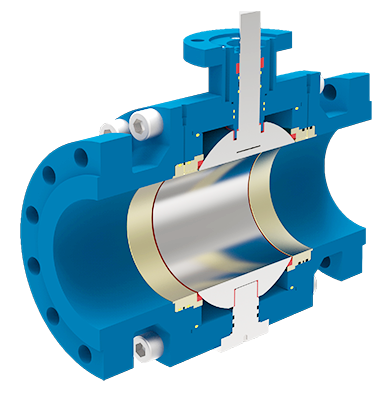 We deliver a whole package of valves for Your project. 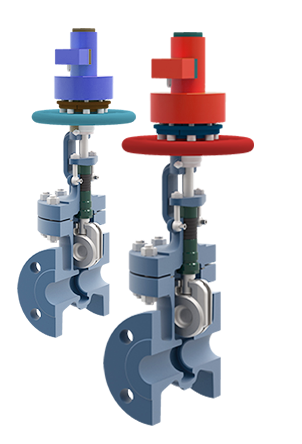 In our youngest production branch, we offer these special valves for a fair price-quality ratio. 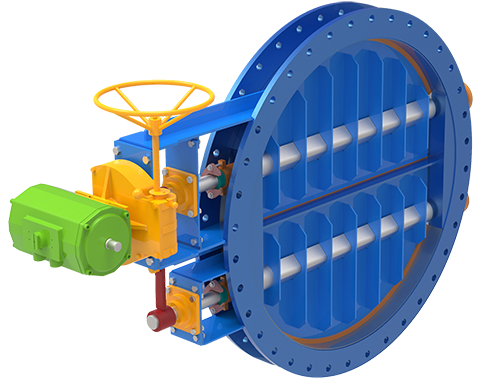 We deliver knife gate valves for a variety of working media. 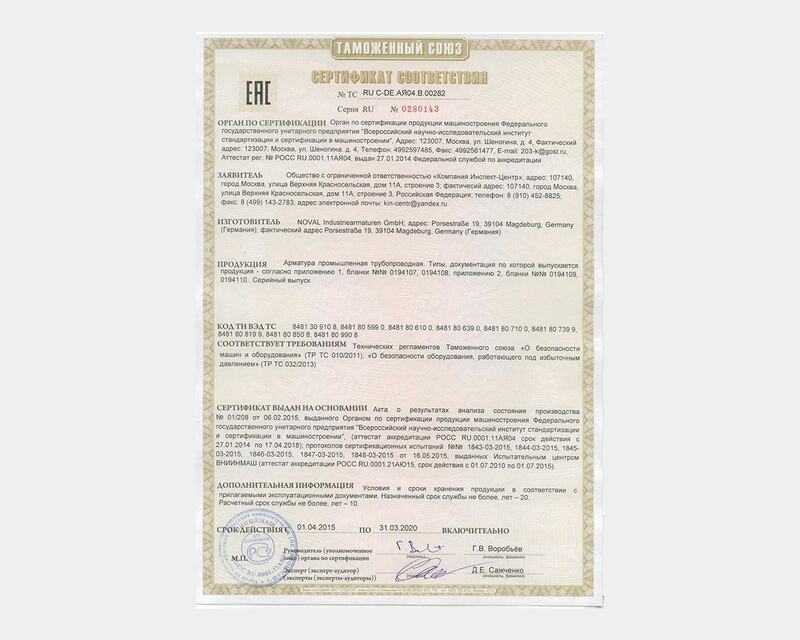 Ask us for a suitable solution in Your case. 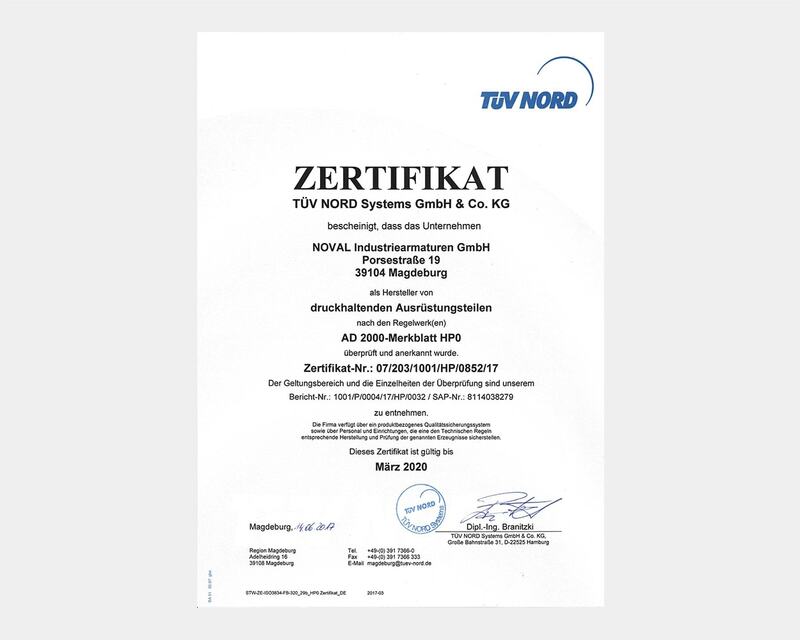 For almost 10 years now, we have been developing our product branch of air and flue gas dampers. 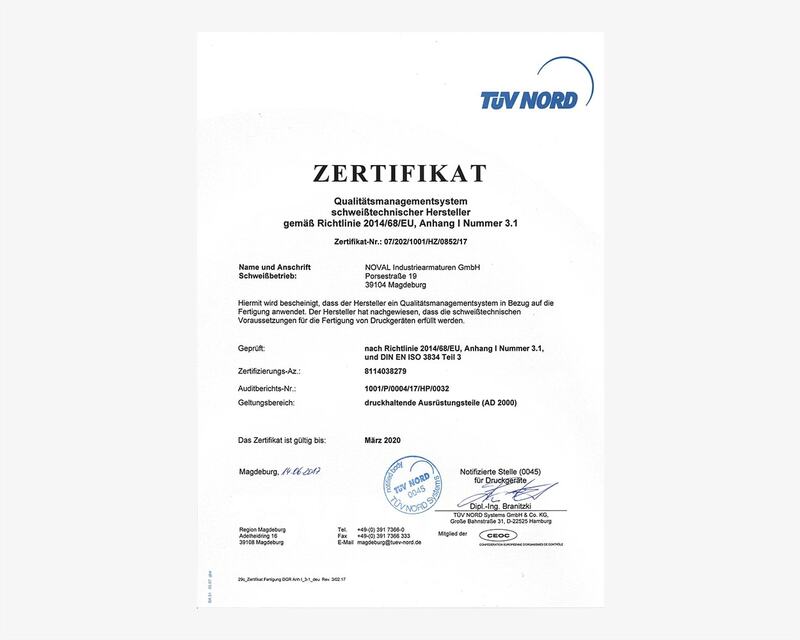 For example, our dampers can be found in the largest substitute fuel plant in Europe in Frankfurt-Hoechst, and they contribute to the smooth operation of the boiler. More than 150 years ago Magdeburg was the cradle of valve manufacture in Germany. 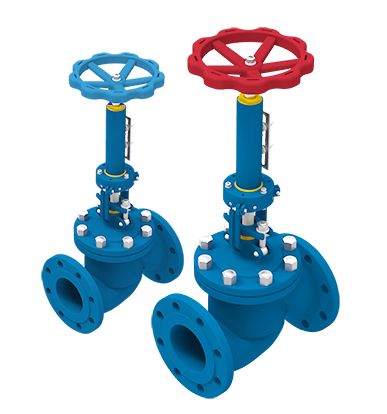 Many generations have contributed to the unique know-how in research and development, manufacture and application of industrial valves and fittings. Manufacturer names with world-wide reputation have been standing for this development: Schäffer & Budenberg, Strube, Polte and, after World War II, Magdeburger Armaturenwerke MAW, the parent company of the nationally-owned valve manufacturing trust. 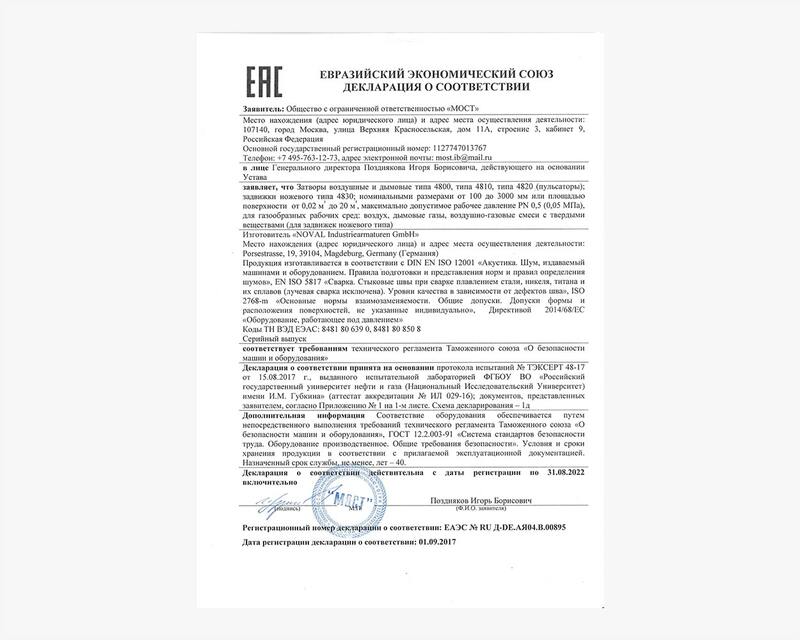 The team of NOVAL are among those people who are profiting today from this long tradition on the original scene.